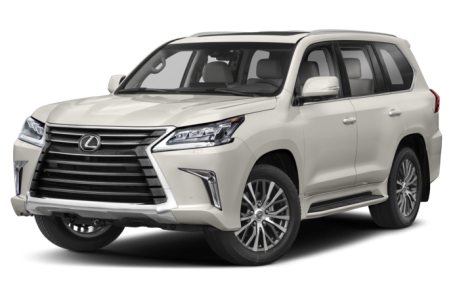 The 2019 Lexus LX 570 is a flagship luxury SUV that seats up to eight passengers across three rows. It is powered by a 383-hp, 5.7-liter V-8 engine mated to an eight-speed automatic transmission and four-wheel drive. It competes with the Cadillac Escalade, INFINITI QX80, and Mercedes-Benz GLS.